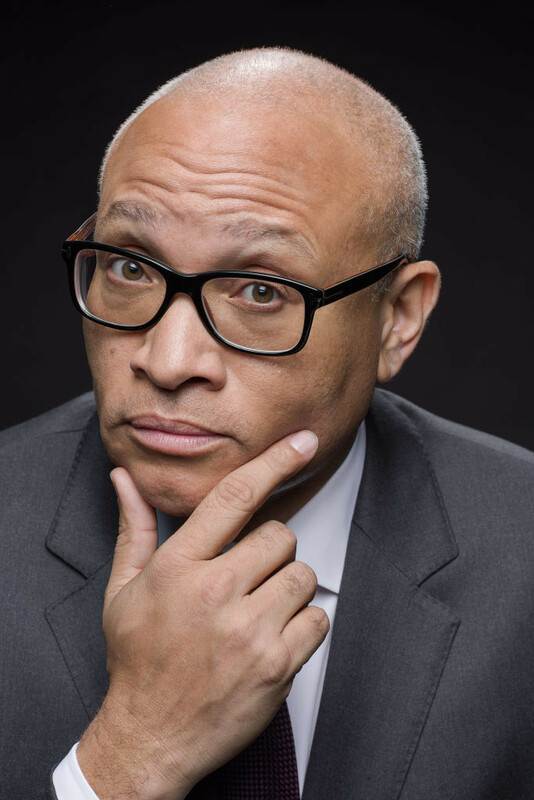 The White House Correspondents’ Dinner (WHCD) is already one of those rare occasions when Hollywood and Politics come together. It’s even more rare to see actors at Washington’s largest social event sitting right across from the very same reporters who they’ve portrayed in an Oscar winning film! But that’s exactly what’s going to happen this year at the WHCD with Spotlight, a film based on The Boston Globe‘s real life investigative team, the oldest continuously operating newspaper investigative journalist unit in the United States. Spotlight went on to win the Academy Award for Best Picture along with Best Original Screenplay at the Academy Awards earlier this year. 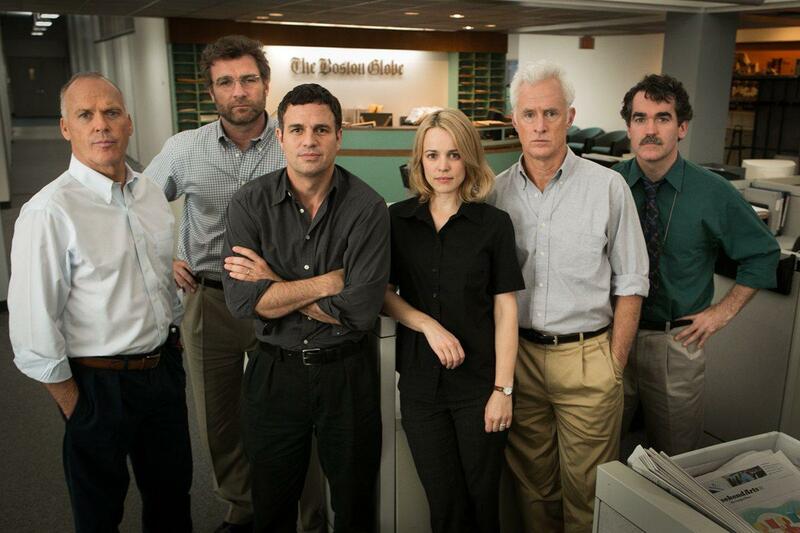 Along with the real ‘Spotlight’ investigative team on whom the film is based – Boston Globe reporters Walter Robinson, Mike Rezendes, Sacha Pfeiffer, Matt Carroll and Ben Bradlee Jr – the Globe has also invited the film’s Director Tom McCarthy, Screenwriter Josh Singer, as well as actors Mark Ruffalo and Rachel McAdams to attend the dinner at the Washington Hilton this weekend. Everyone knows that the parties surrounding the annual White House Correspondents’ Dinner are the most coveted, deeply desired invitations in town. But one can always dream: If you had access to every star-studded affair in town, which would be the fairest one of them all? This is the exact question that Roll Call asked its readers in an online poll earlier this week. Their verdict: The Google-HBO-Smithsonian party at the Renwick Gallery took the top spot in the poll both for best location and celebrity guest list. The Renwick, which is usually free and a must see for first-time visitors to Washington, will not be accessible to most people on Friday night. Not only is the Renwick one of the most beautiful, intimate and inspirational spaces in town, but the guest list for the Google-HBO-Smithsonian soiree includes critically acclaimed artists such as Bryan Cranston of “Breaking Bad” fame, and Jay Roach, director of “Meet the Parents.” Cranston also received an Academy Award nomination for Best Actor for “Trumbo” which was directed by Roach, and recently the two teamed up again for HBO’s “All the Way” depicting President Lyndon B. Johnson’s efforts to maneuver members of Congress to support civil rights legislation. Second place in the voting for best location was the Washington Women in Journalism party, hosted at the Kalorama home of Gloria Story Dittus, and the Tinder-IJ Review-Rock the Vote party at the W Hotel in downtown Washington. Ranking second for celebrity guest list was the SAG-Variety-Washington Post party on Friday night with the casts of “Black-ish” and “Scandal” expected to be in attendance. 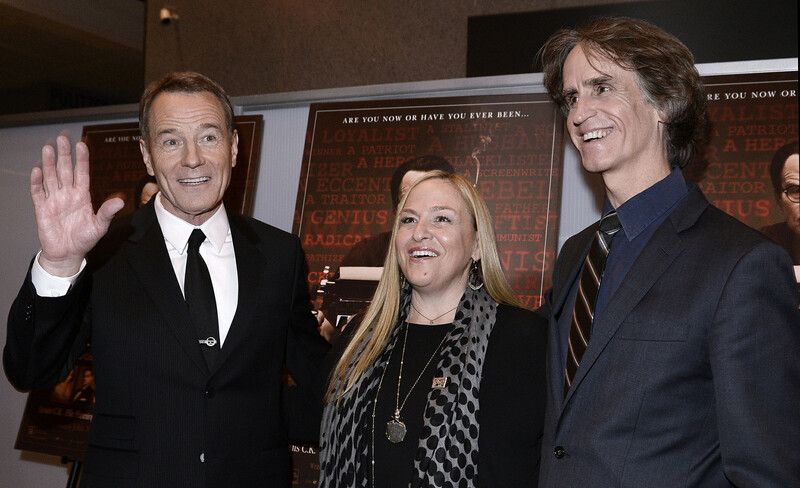 On Saturday, April 30, members of the media, Hollywood celebrities and studio heads, business executives, and non-profit leaders will come together to support causes that reflect issues facing our society today. The brunch will raise awareness for Halcyon Incubator, an organization that supports early stage social entrepreneurs “seeking to change the world” through an immersive 18-month fellowship program. Also in the spotlight will be #PlayfieldInThePark, an initiative supported by Yellow Ribbons United that serves approximately 500 children and teens attending the Tragedy Assistance Program for Survivors (TAPS) Good Grief Camp and Honoring Our Heroes Camp over Memorial Day Weekend. The 2016 Garden Brunch is hosted by Tammy Haddad, Kevin Sheekey, Hilary Rosen, Sachiko Kuno, Fred Humphries, Mark & Sally Ein, Constance Milstein, Anita Dunn, Bill Knapp, David Adler, and Franco Nuschese. 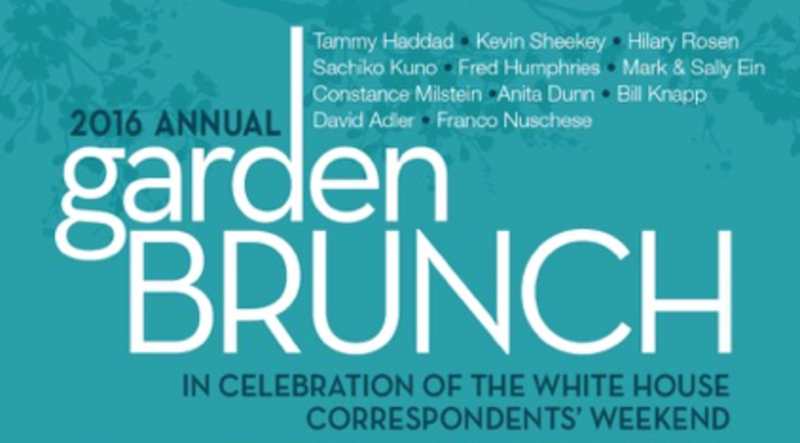 Watch the video from the 2015 White House Correspondents’ Garden Brunch below. As White House Correspondents weekend approaches, Volta Insider’s Rachel Greenberg – a podcaster and budding journalist herself – has released the latest episode of her podcast, Volta Insider. This episode featured a conversation with Ambassador Capricia Marshall who gave Rachel some incredible insights about the inner workings of the White House. From her role as a Special Assistant to First Lady Hillary Clinton, to her time serving as U.S. Chief of Protocol for President Barack Obama, Amb. Marshall has witnessed many a historical moment. Download the podcast on AudioBoom or iTunes. And be sure to subscribe while you’re there! Men In Black super star and leading Hollywood hunk Will Smith and his wife Jada Pinkett Smith are among the guests of ABC for this weekend’s White House Correspondents Dinner. Also invited to the dinner by ABC is the cast of Scandal including leading stars Kerry Washington, Tony Goldwyn, Scott Foley and creator Shonda Rhimes. Bollywood bombshell Priyanka Chopra, who is a star of ABC’s new television thriller series Quantico, will also be in attendance at the event, which she recently confirmed via her Twitter account. Chopra has gotten global attention for her portrayal of FBI agent ‘Alex Parrish’ in the American television series that debuted in the fall of 2015. Chopra has been invited by USA Today and will be seated with model Kendall Jenner and fellow actors Rosario Dawson, Neve Campbell and Gabrielle Union. The Boston Globe, CBS News, InsideClimate News, the Wall Street Journal and The Washington Post each took home the top prizes in this year’s WHCA awards. The winner of the Aldo Beckman Memorial Award for excellence in White House coverage is Carol Lee of the Wall Street Journal. Carol is also president of the White House Correspondents’ Association, which hosts the White House Correspondents Dinner (#WHCD) every year. Lee was not a judge for the awards. The winner of the Merriman Smith Award for outstanding White House coverage under deadline pressure is Matt Viser of the Boston Globe. The Winner of the Merriman Smith Award for broadcast journalism is Norah O’Donnell of CBS News. Last but not least, the Edgar A. Poe Award which recognizes excellence in coverage of events or investigative topics of regional or national interest will be shared this year by Terrence McCoy of The Washington Post and Neela Banerjee, John Cushman Jr., David Hasemyer and Lisa Song of InsideClimate News. 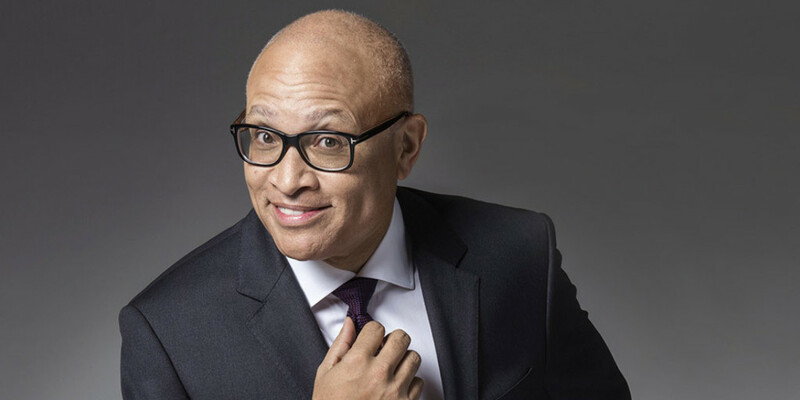 Full list of winners and their bios on the WHCA website. There’s no actor on television that has had as much impact on a drama as Neve Campbell aka ‘LeAnn Harvey’ in House of Cards. Campbell’s character is a Texas political consultant who is incredibly intelligent and successful. She is greatly praised and acclaimed for her ability to win campaigns against all odds. Harvey becomes First Lady Claire Underwood’s (played by Robin Wright) political consultant after Claire makes her an offer she can’t refuse. She later becomes Frank and Claire’s campaign manager when they decide to run for office together. Campbell’s character is one of the central components in the story’s plotline in the new season. Campbell first rose to fame in the 90’s, starring as ‘Sidney Prescott’ in the Scream series as well as the drama series Party of Five which won the Golden Globe Award for Best Drama in 1996. Scenes with her and Doug Stamper (Michael Kelly) are among the best and hottest scenes in House of Cards. Their rivalry reflects the reality of Washington’s hyper-competitive political class and reminds us of unnamed presidential campaigns.